At Straight Line Heating and Cooling, we always have a crew of service technicians ready to handle any type of air conditioning repair our customers need. 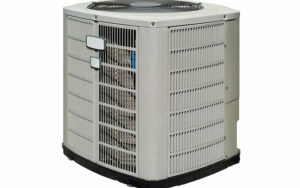 We’re a Trane Comfort Specialist, but we service all makes and models. Whether your repair is routine or urgent, we offer prompt service that’s responsive to the nature and immediacy of your need. You can count on us to be there when you need us. Your system is gradually getting less and less effective at cooling your home. Your rooms have started feeling chilly and uncomfortably damp. The system turns off before adequately cooling your space. You’ve recently begun hearing strange noises coming from the system. Your AC circuit breaker has begun tripping while the unit is running. You’re starting to detect unusual and unpleasant odors when the system is operating. When you notice any of the above issues, get your system inspected to prevent more serious problems from developing. In addition to our standard daytime service, we offer 24-hour emergency air conditioning repair services in Paso Robles, CA and the surrounding areas. We always have HVAC repair technicians ready and waiting to be dispatched whenever a customer has a need. Satisfaction is always guaranteed. When your cooling system needs repair, you want prompt, dependable service from technicians who have been extensively trained and have solid experience in the field. We always keep our word, and we’re motivated to do the right thing and go the extra mile. At Straight Line Heating and Cooling, we continuously find more efficient and effective ways to provide value to our customers. If your air conditioning system is acting up, give us a call today to get a free estimate. Our service area includes Paso Robles, Atascadero, San Luis Obispo, CA and the surrounding areas.